Become acquainted with Skarhult’s 20 chatelaines, from year 1550 up until today. In the exhibition Power in Disguise, one chatelaine per century has been chosen as an representative for the circumstances of that particular century. These women have determined the history of Skarhult. 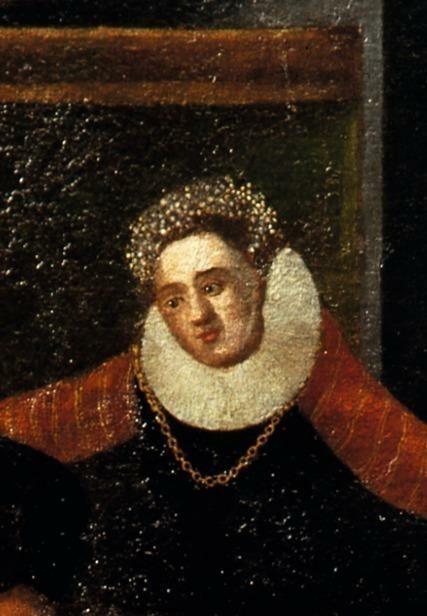 Mette Rosenkrantz, ca 1567. Oil on canvas by unknown painter. 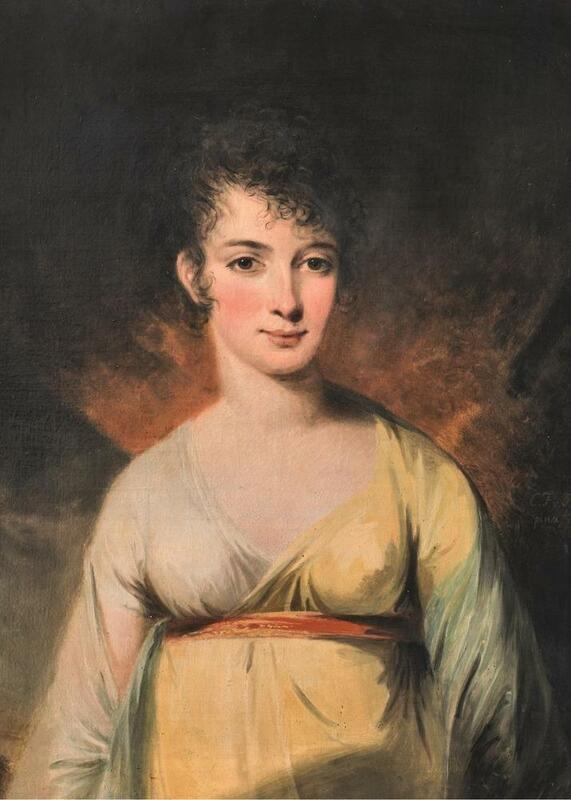 Her good education, fortune, and high birth made sure that Mette Rosenkrantz became a very good match. At age fourteen, she was engaged to Steen Skarholt Rosensparre, owner of Skarhult. Steen Rosensparre was killed in the battle of Axtorna in 1565 and Mette completed the reconstruction of Skarhult, which the couple had earlier started together. When she remarried in 1567 with Peder Oxe, Steward of the Realm and Denmark’s richest man, she became the most distinguished private woman in Denmark. The couple had no children. When Peder Oxe died in 1575, Mette inherited his vast estate holdings. This made Mette Rosenkrantz the wealthiest woman in Denmark. She died in 1588 while visiting her son Oluf, from her first marriage, at Skarhult. 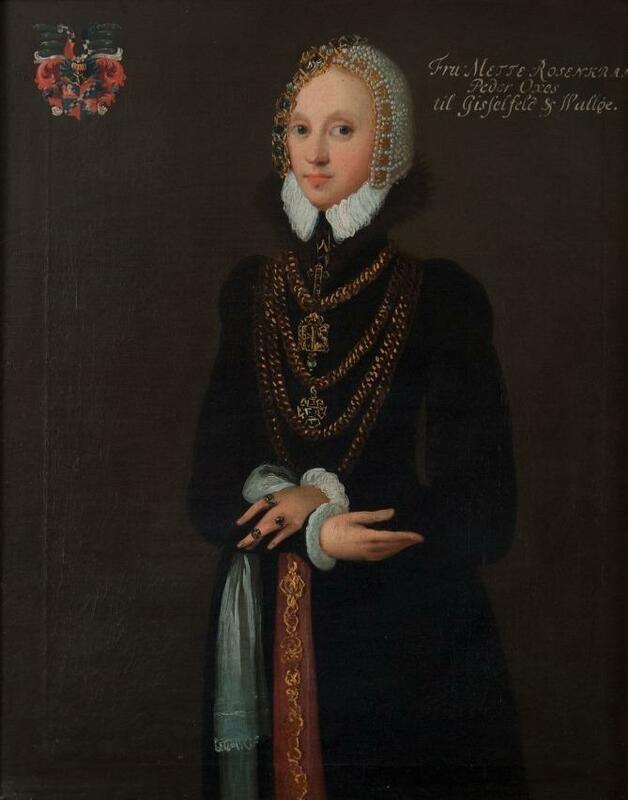 Lisbeth Henriksdatter Gyllenstierne grew up near Kristianstad at Vittskövle Castle, which her father Henrik Gyllenstierne received the same year from king Fredrik II. Her mother Lisbeth Brahe, Tycho Brahe’s sister, died in childbirth. 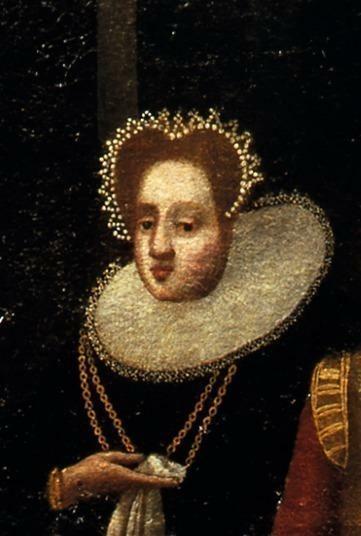 In 1582, Lisbeth Gyllenstierne got engaged to Mette Rosenkrantz’s son, the cabinet minister Oluf Rosensparre, who had inherited Skarhult after his father’s death in 1565. When Oluf Rosensparre died in 1624, Lisbeth Gyllenstierne inherited the estate Vester Vallø, which she ran until her death in 1638. Birgitte Olufsdatter Rosensparre grew up at Skarhult as the daughter of Lisbeth Gyllenstierne and Oluf Rosensparre. She was a lady in waiting to Queen Anne Cathrine when she in 1604 married Corfitz Eriksen Ruud of Sandholt. The couple had four daughters: Mette 1606, Lisbeth 1608, Birgitte 1612, and Hedvig 1613. When Birgitte Rosensparre’s father died in 1624, she inherited Skarhult. Later, as a widow, she also inherited the estate Sandholt on Fyn, which she ran until her death in 1645. Birgitte Olufsdatter Rosensparre, ca. 1630. "Dansen med Rud'erne" at Fredrikborg Castle. After her father’s death in 1630, Mette Rud inherited Skarhult. She was since 1626 married to Niels Trolle of Trolleholm and the couple had four children, two of whom reached adulthood. These were the son Corfitz Trolle, born in 1628, and the daughter Birgitte Trolle, born in 1631. Mette Rud died at Skarhult in 1632. Niels Trolle later remarried and had further ten children, nine of whom reached adulthood. His youngest son Arvid Trolle came to be the ancestor of the Swedish noble family Trolle. The oldest son Corfitz Trolle inherited Skarhult after his mother. Mette Corfitzdatter Rud, ca. 1630. Oil on canvas by Remmert Pietterz. From the piece "Dansen med Rud'erne" at Fredrikborg Castle. Birgitte Fredriksdatter Rantzau was born on Bollerup Castle in Scania. Her father was Fredrik Gert Henriksen von Rantzau and her mother was Ide Skeel. The prospective spouse Corfitz Trolle fought against the Swedish during 1657-60. In December 1658, in the midst of a raging war, Corfitz Trolle abducted his future bride Birgitte Rantzau from Bunkeflo vigarage in Scania and brought her safely to Själland. The couple got married in Copenhagen in 1660 and decided the following year to leave Scania. Skarhult was sold in 1663 to Beata von Königsmarck. The Trolle couple had three sons, two of whom reached adulthood: Frederik Trolle, born in 1665, and Niels Trolle, born in 1667. Beata von Königsmarck, 1654. Oil on canvas by Hendrick Munnichhoven. Beata Elisabeth von Königsmarck was born in the German town Stade in Bremen. She was the daughter of the field marshal and cabinet minister Hans Christoffer von Königsmarck and the Bremian lady-in-waiting Barbara von Leist. In 1655, she married Pontus De la Gardie, son of Ebba Brahe and Jakob De la Gardie. According to current historiography, Pontus De la Gardie bought Skarhult of Corfitz Trolle in 1663. 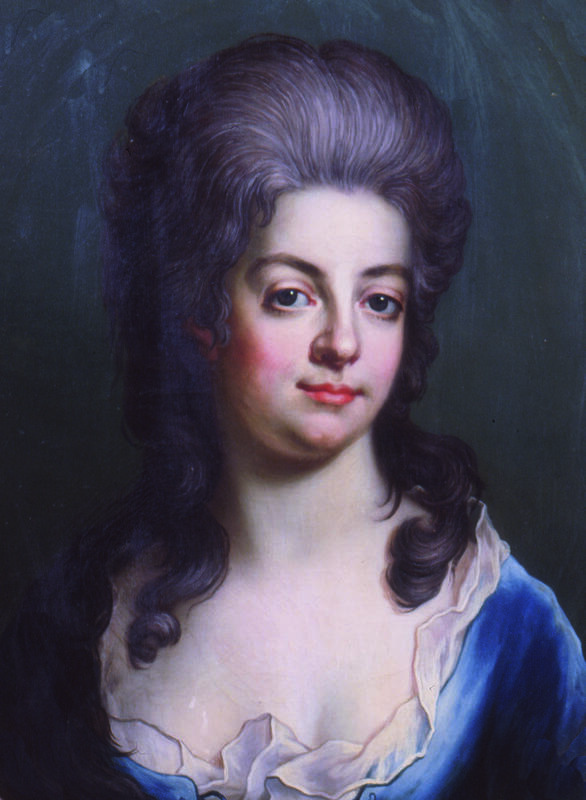 Beata von Königsmarck officially became the owner first in 1692 when she was widowed. However, new research shows that it was in fact Beata von Königsmarck who bought Skarhult and ran it until her death in 1723. In 1657, the couple had the daughter Ebba Maria, and in 1661 the daughter Johanna Eleonora. Beata von Königsmarck was at her death the owner of three estates: Skarhult and Marsvinsholm in Scania, along with Velamsund outside of Stockholm. She survived both her daughters as well as all her grandchildren except one. Her great grandchild Erik Brahe inherited Skarhult. 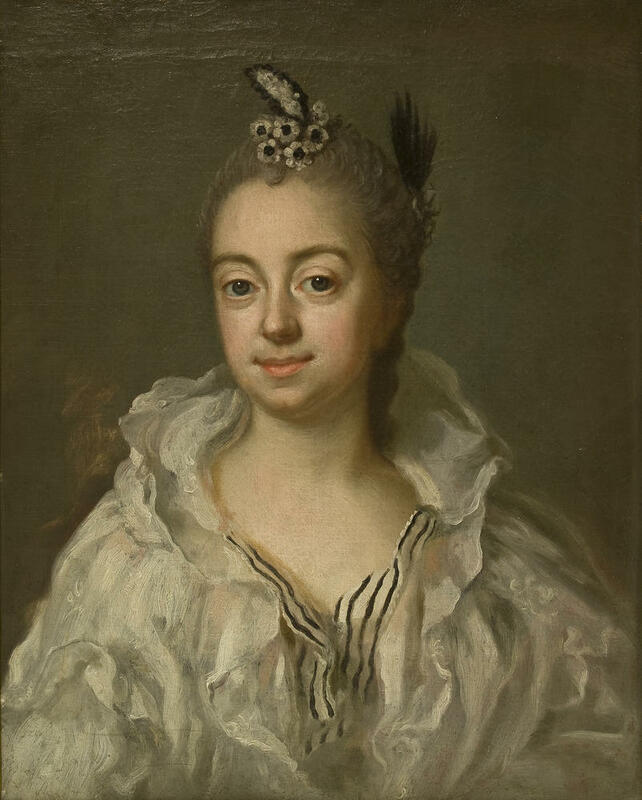 Eva Sack married Erik Brahe in 1745; he was the kingdom’s first Count and owner of Skarhult. She was the daughter of Baron Johan Gabriel Sack and Countess Eva Bielke. The couple, who lived in Stockholm, briskly had three sons and two daughters. Eva Sack died of disease, only twenty-six years old. The couple had also lost their youngest child to tuberculosis and during the years of 1755-56, another three died. The eldest son, Per Brahe, was the only survivor. Eva Sack, 1750. Oil on canvas by Johan Henric Scheffel. Stina Piper, ca 1750. Oil on canvas Carl Fredrich Brander. 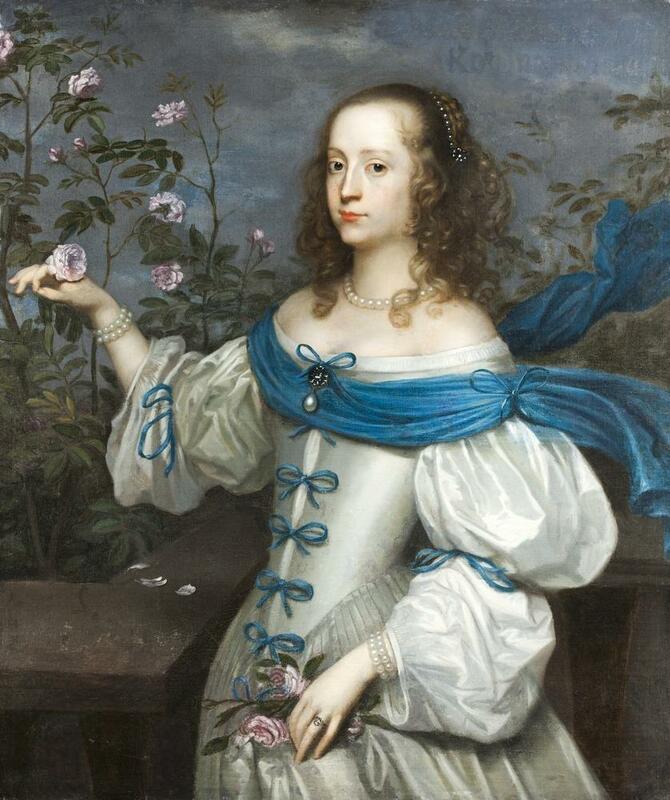 Stina Piper, granddaughter to the wealthy Christina Piper, became the second wife of Erik Brahe. The couple was married at the castle of Krageholm in Scania in April 1754, and Stina Piper received Skarhult as a wedding gift from her husband. Only two years later, in 1756, the family was hit by misfortune. The couple’s daughter died, only eight months old, from smallpox. Six days later the stepdaughter of Stina Piper died from the same disease, and a few months later two of her stepsons. Erik Brahe, who had been accused of alleged involvement in the royal couple’s attempted coup d’état, was executed in July the same year. Three months later, Stina Piper gave birth to the son Magnus Fredrik Brahe. Stina Piper never owned Skarhult according to documentation, however, new research shows that she owned and ran Skarhult from her first husband’s death until she remarried in 1773. Her new husband was Ulrik Sheffer, Prime minister and Foreign secretary to King Gustav III. When she remarried she handed over Skarhult to her son Magnus Fredrik. Stina died in Stockholm in January 1800. 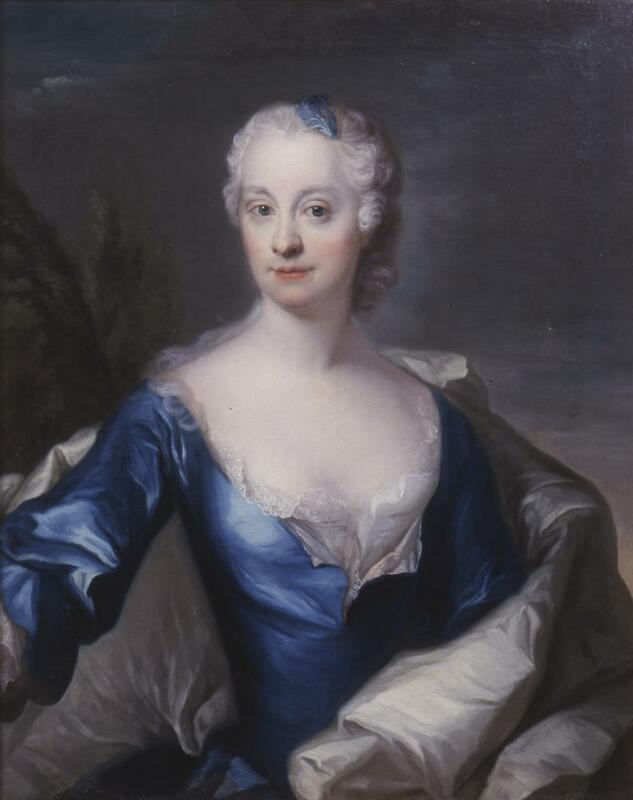 Ulrika Katarina Koskull, 1782. Oil on canvas signed by Biörk pinxit. Ulrika Katarina Koskull, daughter to the cavalry captain Baron Anders Gustav Koskull, grew up on Änglaholm in Småland. King Gustav III met her on a journey to Växjö and was struck by her beauty, whereupon she was appointed maid of honour to the Duchess Hedvig Elisabeth Charlotta in Stockholm. Ulrika Katarina married the owner of Skarhult, Magnus Fredrik Brahe, on the 20th of April 1779 at the Royal Palace in Stockholm. It is said that their marriage was not a financial project, but the product of love. The bride, who had no fortune of her own, received the estate Rydboholm as a wedding gift. The couple had seven children, of whom only one, Magnus Brahe, reached adulthood. Aurora Wilhelmina Koskull, 1830. Oil on canvas by Karl Vilhelm Nordgren, copy after Olof Johan Södermark. Aurora Wilhelmina Koskull was the niece of Ulrika Katarina Koskull and daughter of Baron Otto Koskull and his wife Amalia Beata Silfversparre. Before she married, she was a maid of honour to Queen Fredrika. In 1806, she became Magnus Fredrik Brahe’s second wife. The wedding was held at Claestorp in Sörmland. The couple had four children. When Magnus Fredrik Brahe was in 1811 appointed ambassador in Paris, Aurora came with him and received much attention. Emperor Napoleon even called her “La belle suèdoise”. When Magnus Fredrik Brahe died in 1826, the Brahe family’s empire of estates were scattered and the heirs sold Skarhult to King Karl XIV Johan the same year. After her husband’s death, Aurora remained in the centre of power in Stockholm and her stepson, Magnus Brahe, hired her as an advisor. The social events organised by Aurora in her home became a main venue for the elegant elite. Aurora died at Salsta Castle in 1852. Désirée Clary, 1807. Oil on canvas by Robert Lefèvre. Désirée Clary was born in Marseille. 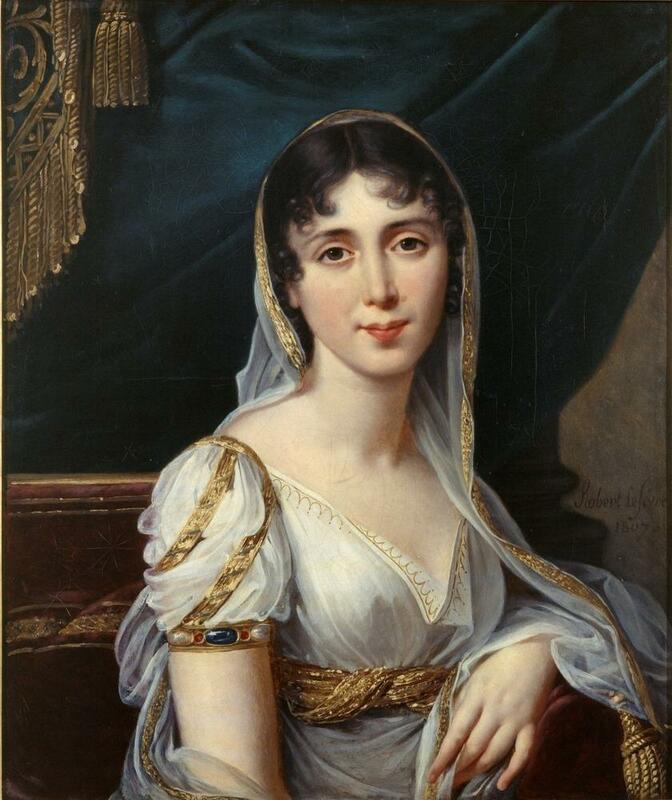 In 1798, she married Marshal Jean Baptiste Bernadotte, later known as King Karl XIV Johan. She became Princess of Ponte Corvo in 1806, Crown Princess of Sweden in 1810, and Swedo-Norweigan Queen (Queen Desideria) in 1818. King Karl XIV Johan bought Skarhult in 1826, but Désirée Clary never visited the estate. Ingeborg Rosenkrantz. Photo by Otto Pettersson. 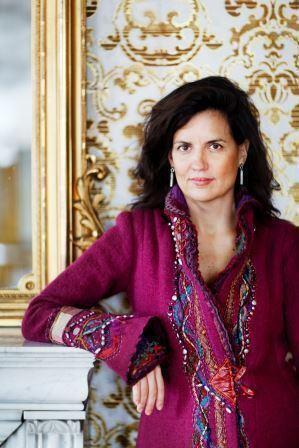 Ingeborg Rosenkrantz grew up on Ekeröd Manor outside Sjöbo as the daughter of Colonel Henrik Ludvig Rosenkrantz and Clara Fredrika von der Lancken. In 1849, she married Carl Johan Gustav Adolf Julius (Jules) von Schwerin, owner of Sireköpinge and Skarhult. The latter had been bought in 1844 from Karl XIV Johan’s estate. The couple settled down at Skarhult and the castle underwent an extensive renovation based on drawings by architect Carl Georg Brunius, commissioned by Karl XIV Johan. The couple had five children: Werner Gottlob in 1851, Hans Hugold in 1853, Bogislav in 1856, Elisabeth in 1859, and Rikardis in 1867. Ingeborg von Schwerin was a drawer, taught by her mother who was a miniaturist. She was later schooled by the Danish landscape painter and art master F. Richardts. Her preserved drawings are all made of lead. Ingeborg von Schwerin died at Skarhult in 1894. Elisabeth von Schwerin. Photo by Petersen & son, Copenhagen. Elisabeth, called Elysabeth, was born at Skarhult as the daughter of Ingeborg and Jules von Schwerin. When her father died in 1880, the eldest brother Werner inherited the estate. Elisabeth remained unmarried, Werner and their sister Rikardis likewise. The three siblings lived together at Skarhult, the brother in one part of the castle, the sisters in another. They did however meet for dinner every evening. The sisters were in charge of the household and tended their duties as hostesses. When their brother Hans Hugold died in 1912, the three siblings took over the responsibility for the upbringing of his son Hans Hugold Julius, who was only six years old at the time. When Werner died in 1922, Hans Hugold Julius inherited Skarhult. Werner’s last will and testament gave Elisabeth the right to reside at Skarhult as long as she lived. Rikardis, called Richissa, was born 1867 in Lund as the daughter of Ingeborg and Jules von Schwerin. After the father’s death in 1880, Rikardis spent a lot of time abroad, including Dresden where she learnt china painting. She went to school for Bertha Schrader and filled numerous sketchbooks with landscapes in lead and watercolour. Rikardis remained unmarried and lived with her sister Elysabeth and her brother Werner at Skarhult. When Werner died in 1922, the nephew Hans Hugold Julius inherited Skarhult. Werner’s last will and testament gave Rikardis the right to reside at Skarhult as long as she lived. Rikardis von Schwerin. Photo by Petersen & son, Copenhagen. Margaretha von Schwerin, 1958. Oil on canvas by Elsa Backlund-Celsing. Margaretha was born in Luleå as the daughter of civil engineer Carl Eduard Uddenberg and Hulda Jansson. In 1931, she married the owner of Skarhult, Baron Hans Hugold Julius von Schwerin. The couple had the children Louise in 1932, Werner in 1934, and Otto in 1940. Hans was appointed assistant military attaché at the Swedish legation in Berlin during the Second World War. The family therefore lived in Berlin for a few years until 1943 when they moved to Skarhult. There, Margaretha von Schwerin started and ran Skarhult’s School of Domestic Science. Margaretha von Schwerin was also active as churchwarden and in the municipality’s child and elderly care committees. 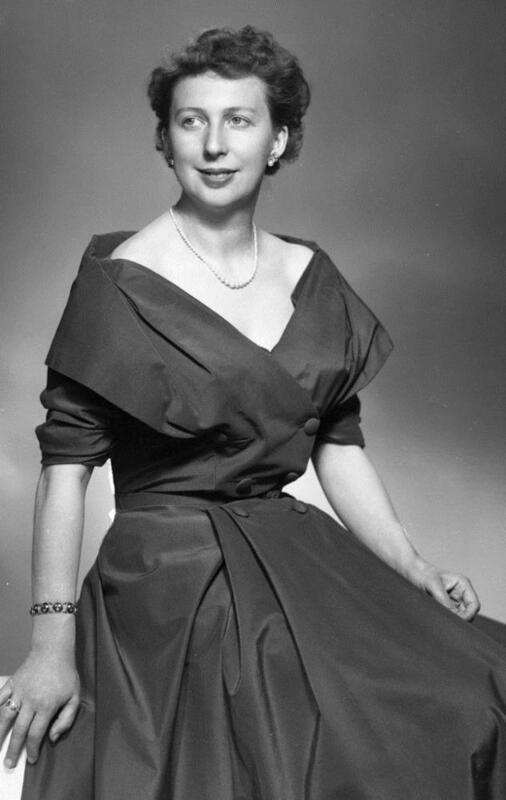 In 1954, she divorced Hans and moved to Stockholm where she later remarried with Hjalmar Carlborn, owner of Kejsarkvarnarna. 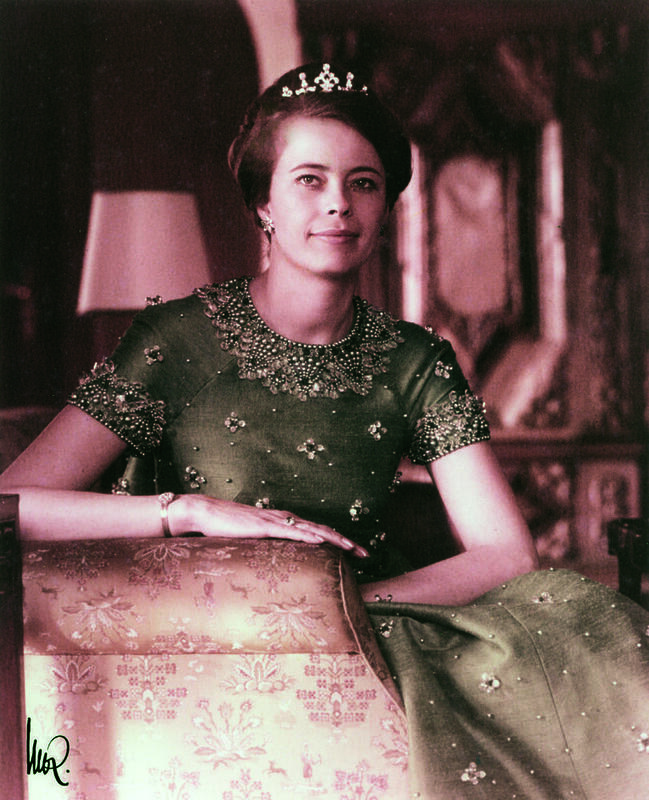 She became a widow in 1969 and moved to Lausanne in Switzerland though she spent the summers at Amensgården at Skarhult. She moved back to Stockholm in 1994, died in 1998, and was buried at Skarhult. Lizzie was born in Denmark as the daughter of the mechanic Oluf Johan Nielsen and Hilma Petra Sophie Thorup. In 1954, she married Hans Hugold von Schwerin in Vor Frelsers Kirke in Copenhagen. The couple lived together at Skarhult until Hans Hugold’s death in 1957. Lizzie von Schwerin then moved to Skurup where she lived until her death in 1994. Lykke von Schwerin. Photo by Rigmor Mydtskov. Lykke was born in Denmark as the daughter of managing director Frees Horneman and the Danish multiple champion in dressage Solveig Gaarder. She was schooled in haute couture at Margaretheskolan and Tillskärarakademin in Copenhagen. 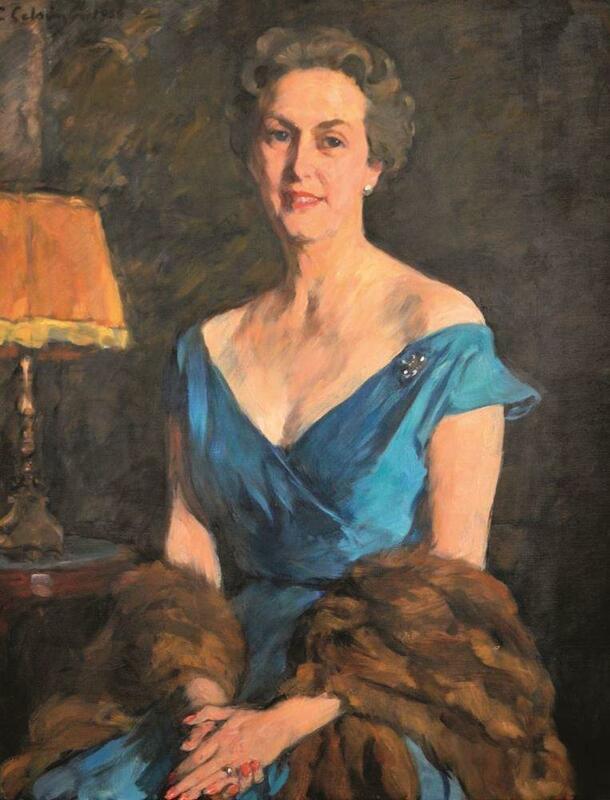 She later served as a teacher at Margaretheskolan and was a lady-in-waiting to Her Royal Highness Princess Benedikte of Denmark. In 1968, she married Werner Gottlob von Schwerin in Skovshoved Church in Charlottenlund. The couple settled down at Skarhult and had the children Martina in 1969, Carl Johan in 1971, Sofia in 1974, and Beatrice in 1978. When Werner died in 1988, the son Carl Johan inherited Skarhult. Lykke von Schwerin administered and lived at Skarhult until 2007. Alexandra von Schwerin. Photo by Malin Lauterbach. 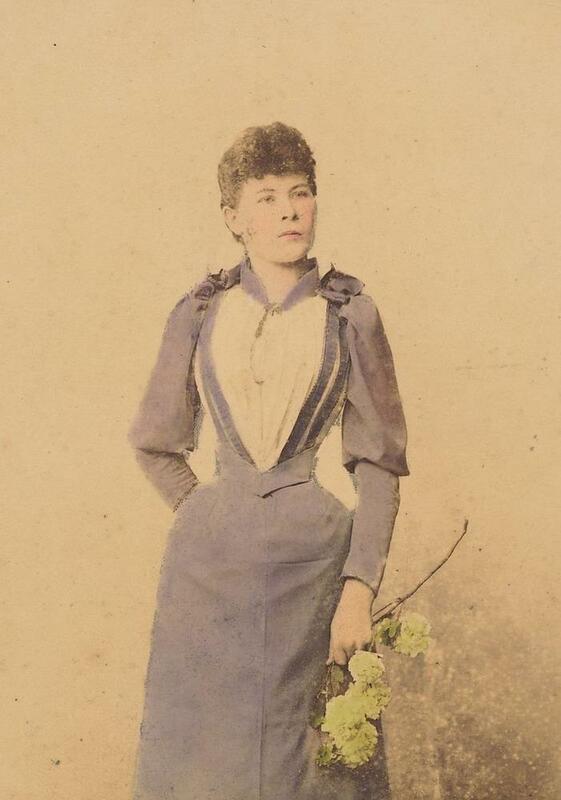 Alexandra grew up in Geneva as the daughter of the medical officer of health Helena Silfverhielm and managing director Ernst Frick. Alexandra von Schwerin has a BA in political science from Lund University and an MBA from Stockholm School of Economics. She used to be a news reporter for Sveriges Television AB as well as head of the information department for Liljevalchs Art Gallery and Stockholms Auktionsverk. In 2003, she married Carl Johan von Schwerin in the Church of Skarhult. Together, the couple has founded several companies in the wind power industry. Alexandra von Schwerin has since 2012 run the Skarhult Foundation, which pursues an increasing interest in history. The couple has three children: Werner (2003), Isabella (2004), and Diana (2007). The family lives at Skarhult. In addition to Skarhult’s chatelaines, there are two women who never lived at the castle but who still have been immensely important for the history of Skarhult. Presented below are Martina and Maria von Schwerin, the mothers of two of the castle’s owners and, therefore, guarantors for the property’s preservation. Martina von Schwerin, 1804. Oil on canvas by Carl Fredric von Breda. Martina was born in Gothenburg as the only child to Martin Törngren, a wealthy wholesale merchant and director of the East India Company, and Lovisa Svartlock. Martina grew up at Råda Manor south of Gothenburg and came to inherit a large fortune after her father at the age of ten. She was only thirteen years old when she, against the will of her guardian, got engaged with Werner Gottlob von Schwerin, which she married two years later. The newlyweds left Råda, which Martina received as a wedding gift. The couple headed for Stockholm, home to the royal court and society. Hopefully, this was the place for Martina to feed her hunger for knowledge and satisfy her brilliant intellect. Nils von Rosenstein, secretary of The Royal Swedish Academy of Letters and member of The Swedish Academy, took Martina under his wing as her tutor in literature and art. In 1812, she became the lady of Sireköpinge in Scania. Together with Werner she had the children Ebba in 1807, Martina in 1809, Carl Johan Gustaf Adolf Julius (called Jules) in 1810, and Carl Filip in 1815. 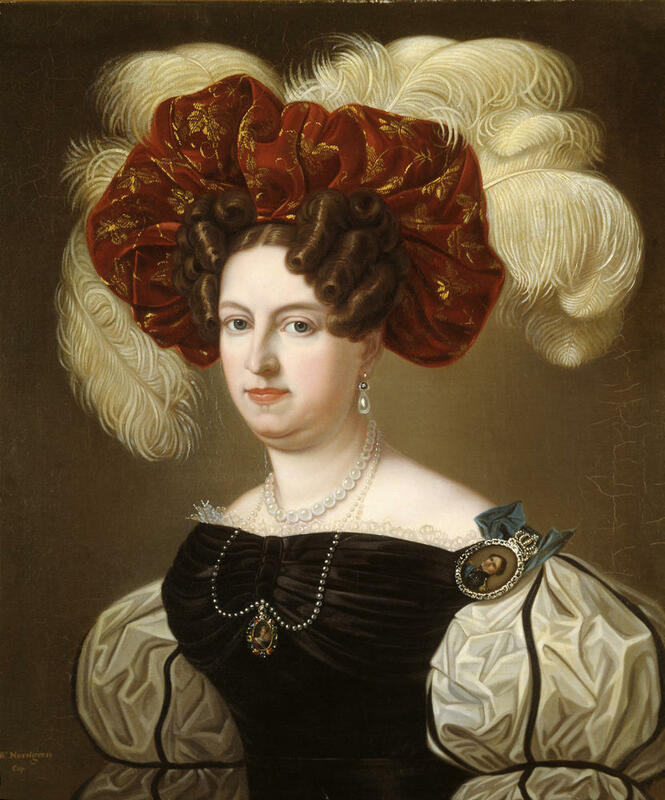 Martina became a widow in 1840 and the son Jules took over Sireköpinge. Martina sold her childhood home and moved into an apartment in Gothenburg. Shortly thereafter, Jules acquired Skarhult where Martina often came to visit. Maria Kaunitz, ca. 1890. Photo by Lina Jonn. Maria was the daughter of crofter Måns Nilsson and Elna Petersdotter. 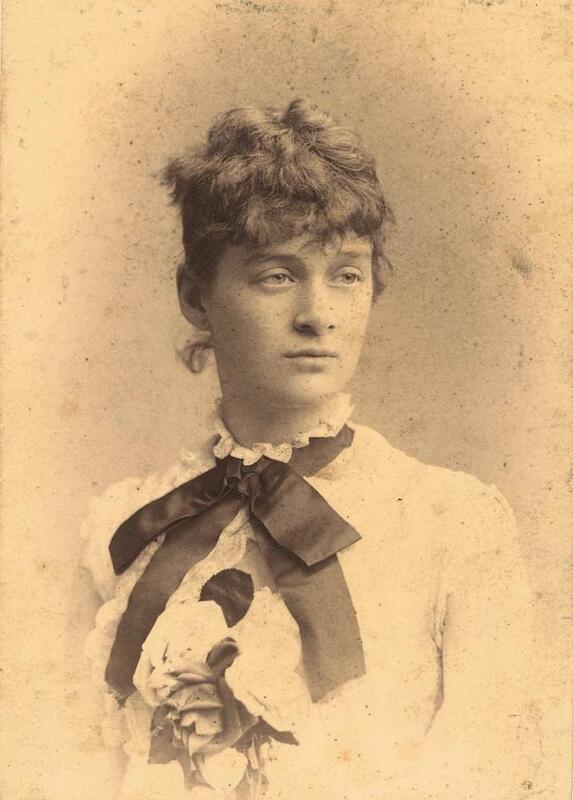 She was given the name Thilda Maria Månsdotter Nilsson but personally chose to be called Maria. After growing up in the village of Hästveda she moved to the University town of Lund at the age of 18 to work as a waitress. There, she fell in love with Baron Hans Hugold von Schwerin, who showed mutual feelings towards her. 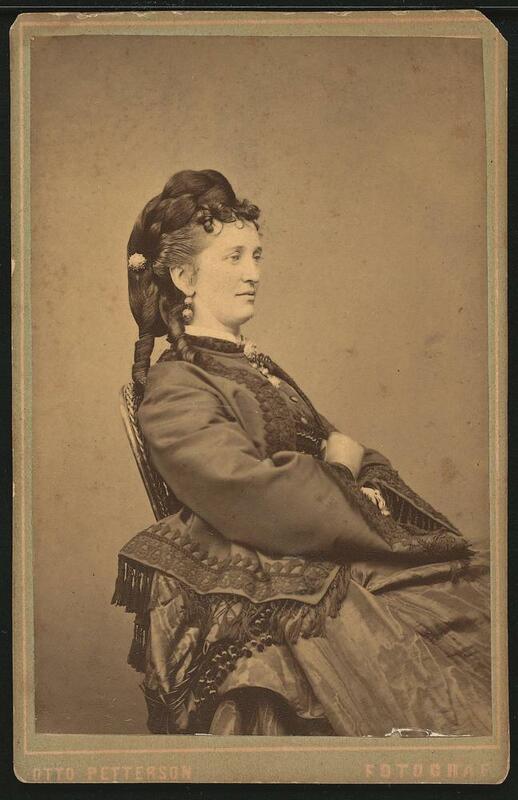 However, Hans Hugold’s siblings did not look upon Maria with approval since her relationship with their brother threatened especially the sisters’ authority. When Maria became pregnant, the couple moved to Copenhagen where Maria gave birth to the daughter Ebba in 1896. In 1901, the couple got married in Röddinge Church outside Sjöbo and 1906 Maria gave birth to a male heir, Hans Hugold Julius (called Hans). Skarhult’s future within the immediate family was finally assured. Maria was widowed in 1912 and was soon forced to give up her son who moved to Skarhult.